What is this? A pint of dragon fire ice cream? An alien planet model? Speckled clay? Amazingly, it's the cross section of a golf ball. 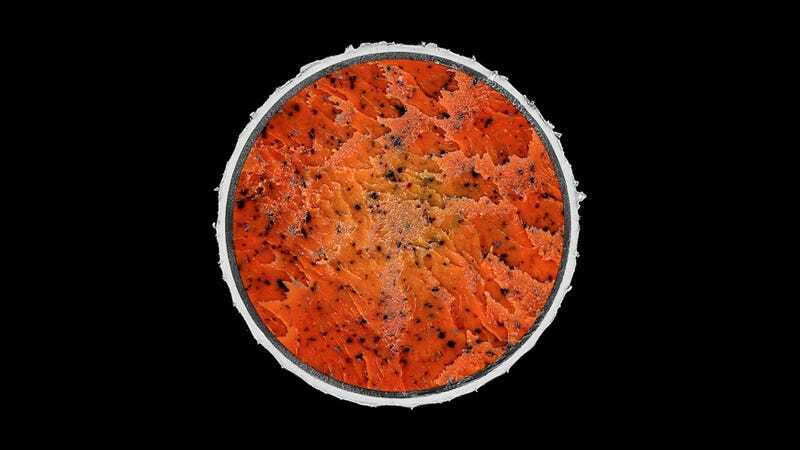 Photographer James Friedman captured the innards of different golf balls and unexpectedly revealed a core that look more like they're from outer space than anything in this world.